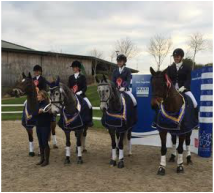 Area 9 Combined Training, 21st October, Hartpury:Great results for team Bath in very windy conditions at Hartpury for the combined training. The Senior team finished 3rd, with individual placings for all members: Georgina Bryce 3rd, Annette Sawyer 5th, Janet Border 5th, Alexis Symes 6th. The other team were also fab, with Fiona Perret 7th, and Hannah Barnes 9th. Phoebe Scott was the only junior, but did a great job, finishing 5th. More fantastic results from Bath teams at the Senior dressage, with a team qualification for the red team: Tania Symes (2nd), Jill Holt (2nd), Rosie Marlow (10th) and Jen Watkins. Other top 10 placings for Jenny Pickup (5th) and Janet Border (10th). British Riding Clubs National Championships, Lincoln - 2nd-3rd September, 2017. 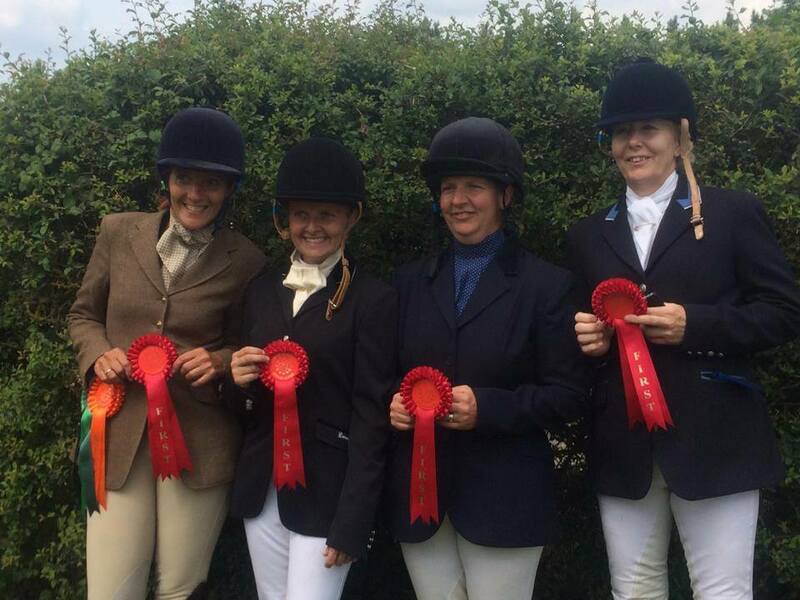 Bath Riding Club members had an amazing weekend of fun and success at the Nationals this year - well done, people and ponies! The Senior 100 SJ team finished 6th! Congratulations, Amanda Taylor, Sally Gaden, Jill Holt, and Gemma Pearce. The Senior Open Dressage team also came 6th! Hurrah, Zoe Symes, Tania Symes, Jill Holt, and Stacey Martin. The Senior Prelim Dressage team came 10th! Well done, Janet Border, Janet Knight, Gemma Pearce, and Rachel Rosser. The Junior teams came 3rd in the Junior Dressage and 5th in the Junior Riding Test. Fantastic news! 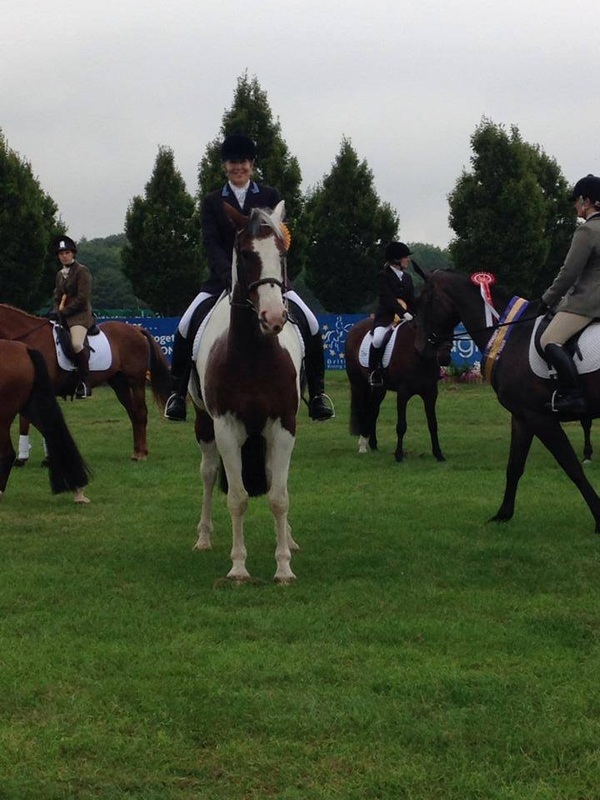 Well done to all of our team riders and horses - what amazing results! Great results from the junior combined training team at the championships. The team, consisting of Katie Hughes, Minty Mayhew, Christie Antoniou and Kayleigh Isaacs, finished 10th. 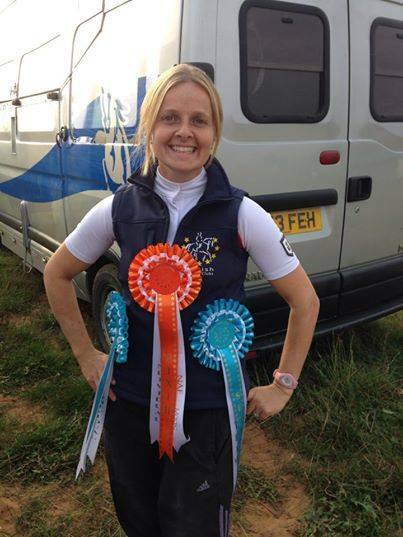 Huge congratulations to Minty Mayhew, who finished in 1st place, taking the British Riding Clubs championship title. The seniors also did a fab job in the Eventers' Challenge with lots of double clears. Well done to all who competed! Congratulations to Jill Holt on winning her section at the Festival of the Horse senior combined training. Congratulations also to Gemma Pearce for coming 10th in her senior section. Along with Janet Border and Lorraine Antoniou, the senior team came 9th overall. Another successful day for Team Bath RC at the dressage to music qualifier! All were placed in their respective classes: Georgina Bryce - 1st (qualified), Jenny Watkins - 4th, Chantelle Bucknell - 5th and Kim Walker - 2nd. An extremely successful day once again for Team Bath at West Wilts! We are Area Champions in every single class we entered! Amazing results - we simply are the best! We are so proud of all our horses, riders and teams riding under the Bath Riding Club name - you are all awesome! Junior 90 Team - Winners! Senior 100 Team - Winners! Senior 90 Team - Winners! Senior 80 Team - Winners! Good luck to all of our winning teams heading to the Championships in August! Another success for Team Bath at Leyland Court! Senior style jumping - Winners! And off to the Championships! 100 Senior Team first, with individual 1st to Mandy Taylor, 2nd to Jill Holt and 4th to Amber Ransome. Well done, all! Team Bath started off well at the Championships with a team 5th for the Senior 80 team on Saturday, consisting of Zoe Symes (Individual 2nd), Georgina Bryce, Annette Sawyer and Hannah Barnes. The success continued over the weekend, with the Senior 100 team placed 3rd on Sunday. Congratulations to Jill Holt (Individual 2nd), Alice Tollworthy (Individual 2nd), Amanda Taylor, and Poppy Wilkinson (Individual 9th). The weekend concluded with another great result - the Junior 90 team placing 8th overall. Well done to team members Christie Antoniou (Individual 6th), Kaytlyn Hughes, Gemma Holdway, and Minty Mayhew! More championships are coming up, and we will let you know how our teams perform - watch this space! Dear Area 9 Members, Please find attached information about the Retraining of Racehorses Area 9 Riding Club Challenge (RoR Area 9 RCC). The aim of the Challenge is to encourage ex racehorse owners to register their horse with the RoR, get involved with their local Riding Clubs, and to provide an extra incentive to compete with their horses at Riding Club level. The RoR Riding Club Challenge is a relatively new initiative, designed to attract and promote ex racehorses competing at Riding Club level. The Challenge has already been taken up by 25 individual Riding Clubs around the country with more signing up each week, and is also run by at area level by Area 4. Area 9 will be the second Area to take up the Challenge, and it is designed to run in parallel to the already existing Area 9 competition season. 1) An RoR Area 9 RCC Rosette awarded to the best performing ex racehorse in each section of Area 9 competitions. 2) Points will be awarded based on performance and accumulated towards the RoR Area 9 RCC Performance trophy. 1) Register your horse with RoR. This is FREE and details are at www.ror.org.uk. You will be given an individual RoR number for your horse, and this is required to participate in the Challenge. 3) Notify the Area 9 RoR co-ordinator of any Area 9 competition entries prior to the event. • All participating horses must be notified to the Area 9 RoR co-ordinator. Their Registered name and RoR number will be held by Area 9 in order to run the Riding Club Challenge. • Notification of competition entries of RoR horses must be made to the Area 9 RoR co-ordinator prior to each event. Competition results will then be monitored to allow Challenge Rosettes and points to be awarded accordingly. • The Area 9 RoR Riding Club Challenge will run in parallel to the already existing Area 9 events. Points will be allocated from participation at Area 9 events only. The points are given for the respective placing within the entire section, including all non-RoR entries. • An RoR Area 9 Challenge Rosette will be awarded to the best placed participating horse in each section of the event. We will endeavor to announce the winners of the Challenge Rosettes on the day, however if this is not possible then the winners will be announced as soon as possible after the event and the Rosettes posted to the winners. • Points will be accumulated towards the Area 9 Performance trophy to be awarded at the end of the season. For the 2015 season there will be a single trophy incorporating both Junior and Senior competitors. • Points may be backdated for any Area 9 events already completed this season. The horse must be registered with RoR and hold an RoR number, and their details notified to the Area 9 RoR co-ordinator along with details of any qualifying results.